Volunteering is one of the most important ways that citizens can actively contribute to the development of society. With increasing income disparity levels in Hong Kong, it's more important than ever for citizens to have an opportunity to lend a hand in ways big or small. Whether you prefer to tutor an underprivileged child, deliver soup to the home of an elderly person or help clean a beach, HOHK is the platform for you. Volunteer opportunities are listed on a monthly calendar that you can sort by type of activity, beneficiaries served or date and time. 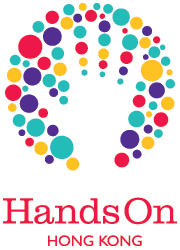 Why volunteer with HandsOn Hong Kong? We've done the legwork for you by finding and scheduling high-impact projects at nonprofits, schools and other partners that need your help. Choose from 100+ opportunities each month! You won't be on your own. Our projects are group-based, so you'll be working along side other HOHK volunteers who also want to contribute to the community. HOHK volunteer programs mostly occur on weekday evenings and weekends to accommodate busy schedules. You can commit as much or as little time as you'd like. We do ask that you only sign up for those projects you can attend as some are in high demand. Every volunteer opportunity will be led by a trained HOHK Volunteer Leader who will serve as your contact for questions before, during and after your project and will be on site with you to ensure your volunteer experience is successful. Visit our volunteer opportunities calendar and sign up for an activity. You may find it useful to first attend one of our regular orientation sessions–look for these in our program calendar. There are also Other Opportunities which includes a list of volunteer needs for our charity partners not included on the monthly calendar. Many of these require a specific skill set or longer term commitment. Should you experience any technical difficulties when signing up for a volunteer activity, please email us at hohk@handsonhongkong.org and include your name, email address, mobile number, and the name of the activity you wish to join and our team will help you.